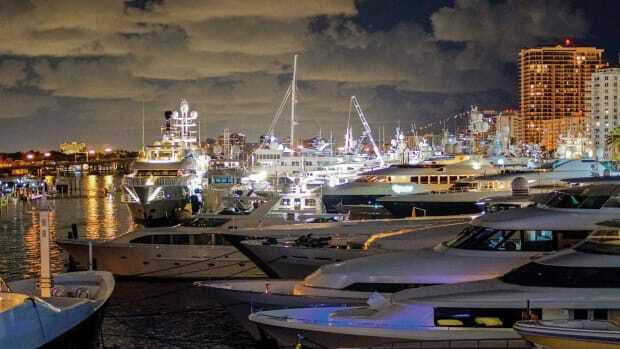 Walking up to the Lagoon 630 you can’t help but notice her presence at the dock. Her sheer size, especially a whopping 32&apos; 6" beam, serve to make it a difficult to take it all in with one glance. She&apos;s big in girth, not especially tall, and while contemporary, she&apos;s not gaudy. 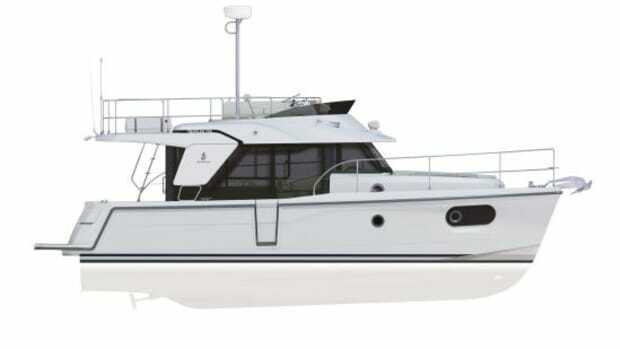 The 630 seems to strike a reasonable balance between function and style, if you can find moorage for her, anyway. 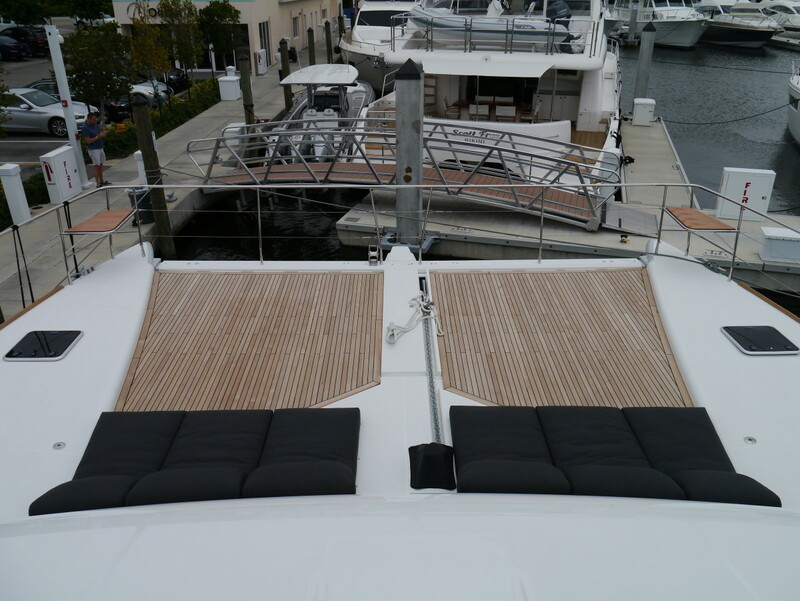 Stepping up onto the aft deck can be achieved via built-in stops at either pontoon. There, you find a substantial outdoor living area, including a dining table that could seat about about eight. For the party-throwing variety, a port-side wet bar where an optional grill can be mounted with plenty of room leftover for whatever cocktail mixers are required. To starboard is a lounging area behind the house, that, according to the broker who transited the Atlantic on the sailing version of this catamaran, was so coveted a spot that guests had to reserve their turn. 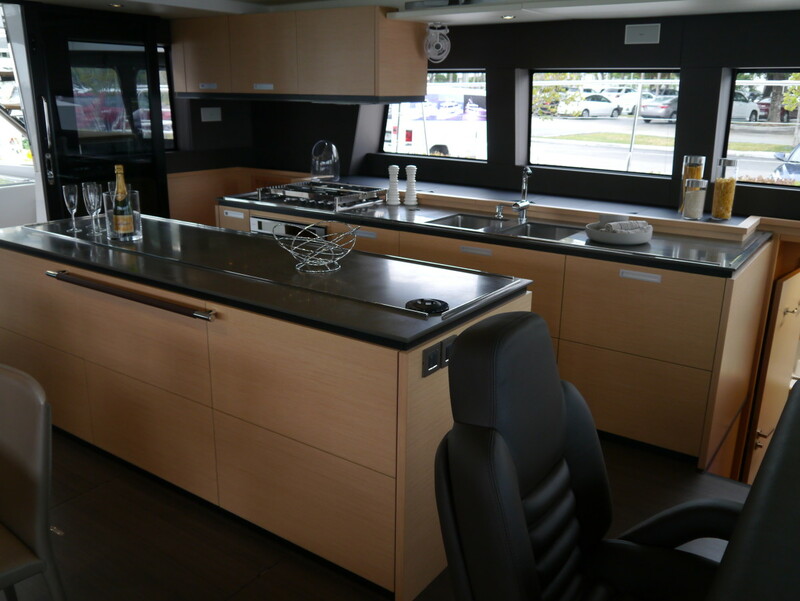 Stepping inside, you&apos;ll find the patented catamaran galley/saloon, sporting wide-open space, a Euro-style kitchen and a useful island for galley prep. 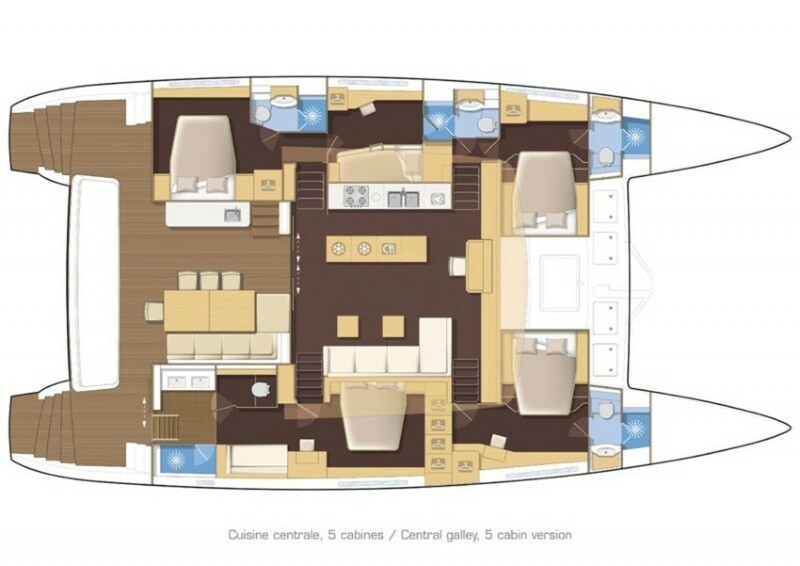 To starboard is the saloon area with expansive seating as well as two coffee tables that rotate and unfold into a large interior dining area. And since most of us like our dining tables and coffee tables at different heights you need not worry as these are both independently adjustable via an electric switch. 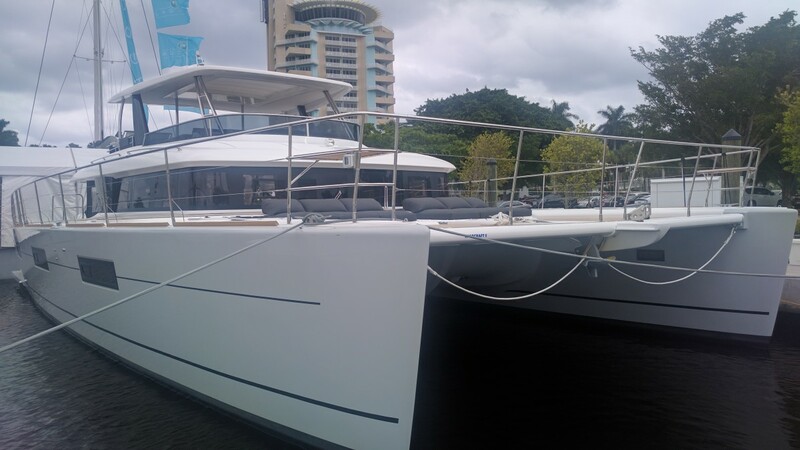 This 630 on display in Fort Lauderdale featured four staterooms along with crew quarters for two. 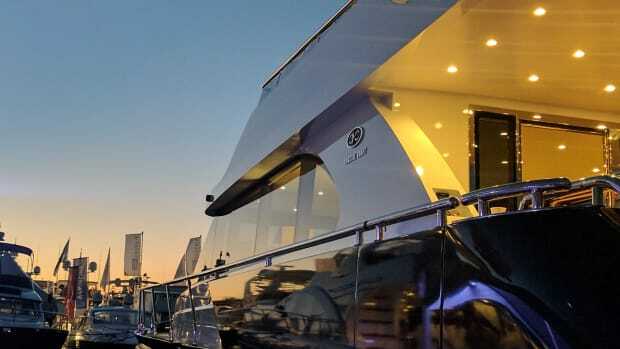 The owners cabin on this boat stretches three quarters of the length of the starboard hull, with a fashionable egress/door to the aft deck, as well as steps down from the saloon. 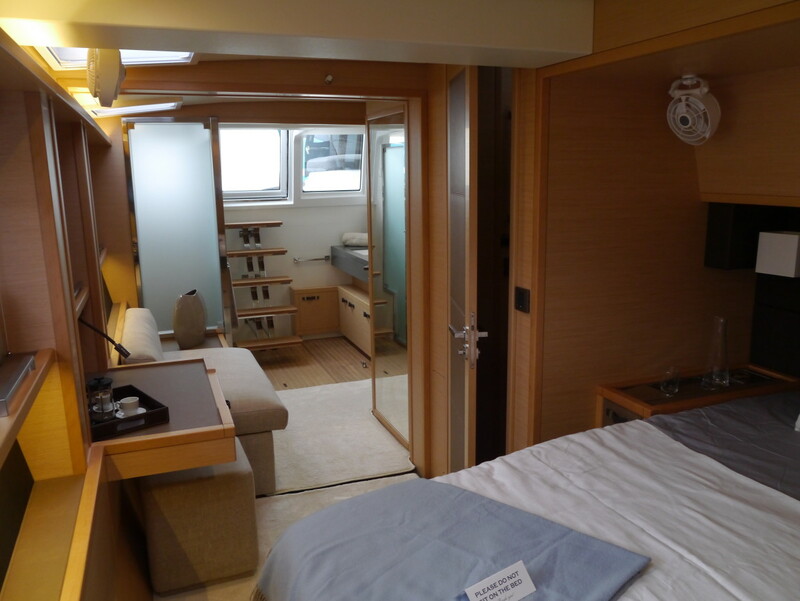 It features a large queen-sized berth, a sitting area with a TV and en suite head. The luxe head features his and hers sinks, a large separate shower stall, and a completely enclosed actual water closet. The entire area was bright and well-lit with natural light from multiple hatches and portlights. Three of the other staterooms also featured queen sized berths with the fourth hosting bunks. Each cabin had its own head with separated shower stall and the airiness of the master was replicated here. Ahead of the forward stateroom on the port side were crew&apos;s quarters for two with bunks and a head of its own. Crew&apos;s quarters are accessed through a hatch via the forward portside cabin’s head or, most likely for anyone traveling with crew and guests, through a hatch on the deck. After a long tour of the interior of this 630 I realized I still needed to investigate the forward deck and flybridge. 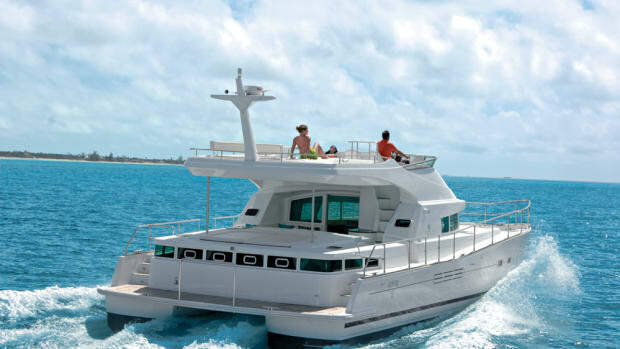 This is an area where the Lagoon 630 sets itself apart: It didn’t have your classic catamaran trampolines forward but instead a hard deck covered in teak with inviting seating. 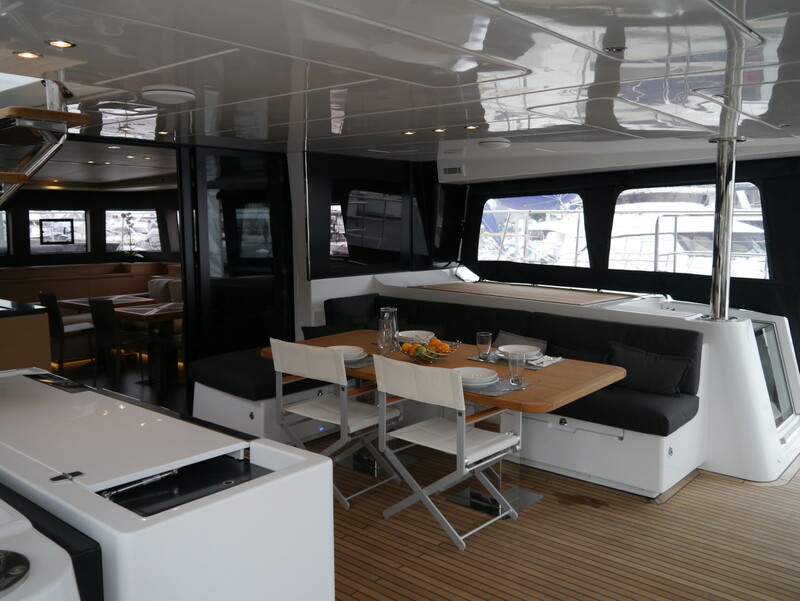 Above on the flybridge, there are dual helms, one to port and one to starboard, an ample lounge, as well as a wet bar. 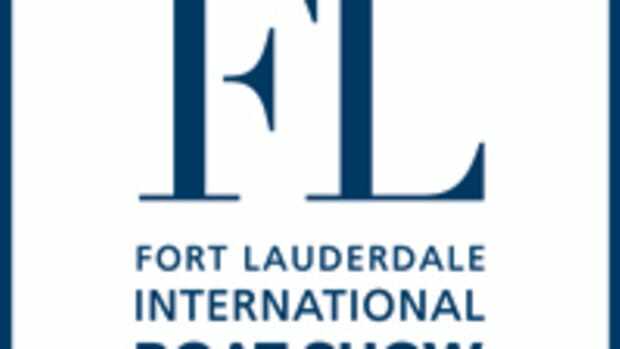 The downside of the boatshow tour is a lack of ability to sea trial, and I look forward to taking one of these for a spin in open water to get sound and fuel burn data. I also wonder how the solid foredeck would impact the ride of the boat in adverse conditions. 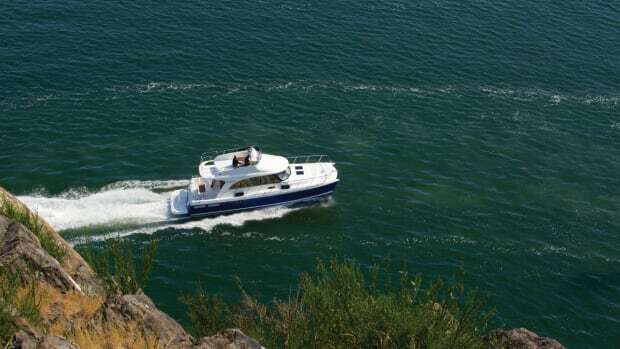 Lagoon advertises a 12-knot cruise and 16 at WOT on twin 260HP Volvo D4s. 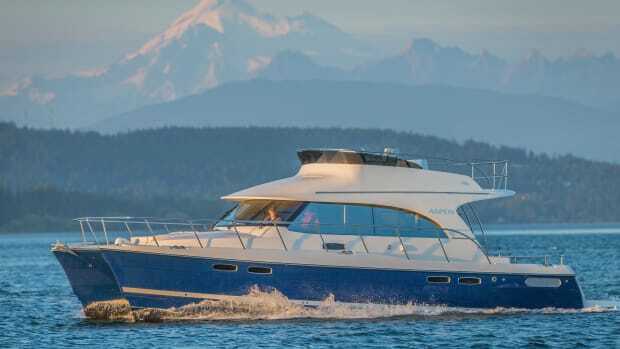 The Lagoon 630 starts at $1.74 million, and certainly, like with any broad-beam powercat, moorage will likely be the biggest issue. At 63 feet long and nearly 33 feet wide, you won’t be fitting in many slips without paying for both of them or being on an end tie. 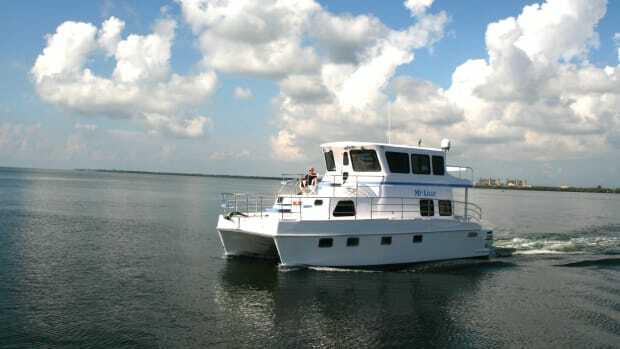 Overall, the Lagoon 630 is a cleanly-styled and intriguing large powercat. 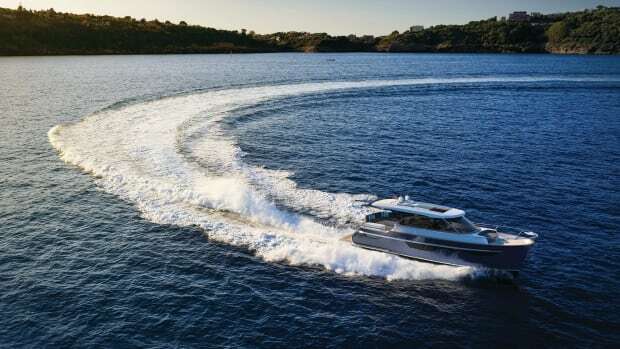 I look forward to testing her later this year and seeing what they do with their next model, the 680, which will supposedly offer a fold-down beach hatch from the master cabin.